Imagine your house is not just the place you sleep, eat and store your stuff but more like a part of your family with its own unique needs. Ignore those needs, and both you and your home suffer the consequences. But pay closer attention, and you can find ways to enjoy a more pleasant — and efficient — living environment. Benefit: Making recommended improvements can cut energy use by 10 to 40 percent. DIY potential: None; use a certified professional. The first step — and the best investment — in any home-improvement project is a professional energy audit, says Mike Smith, efficiency expert with The Electric Cooperatives of South Carolina. “What an auditor can do is give you direction for what it would take to fix your home — a list of rec-ommendations, prioritized,” Smith says. “If you do them, you’ll save energy.” A whole-house energy audit will take an hour to an hour and a half, according to Pat Garrett, residential energy advisor at Shelbyville-based Duck River Electric Membership Corporation. And the cost of the audit may be refundable if any work is done based on the results to improve the home’s energy efficiency. These audits evaluate household energy use, how the heating-and-air system is functioning and whether there’s adequate insulation. 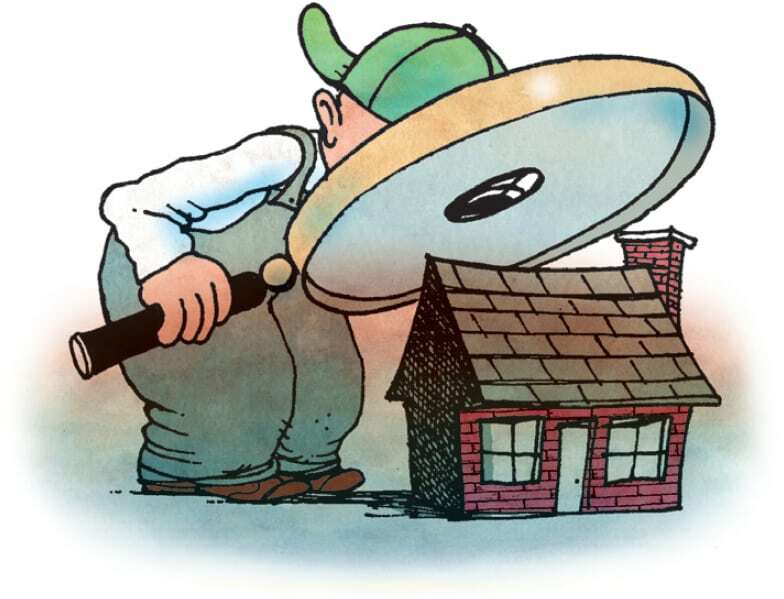 Auditors can use diagnostic tools like a blower door and a thermal imaging camera, testing for leaks in ductwork and around windows and doors, plus other problems with the home’s “envelope” — essentially, the parts of the house that separate its insulated, air-conditioned interior from unconditioned spaces like attics and crawlspaces. The benefit of such audits is that homeowners can receive “a professional view of their home without the pressure of buying a product someone is selling,” Garrett says. According to the Building Performance Institute (BPI), a nationwide nonprofit that certifies professional energy auditors, the report you get back — up to 20 pages of details — can include estimates of what return you might expect on any investments in efficiency upgrades. “It’s worth paying an expert to get the right direction because you could spend thousands of dollars chasing symptoms and not get any return,” Smith says. Need help finding a professional? Ask your electric cooperative if co-op personnel perform such audits and, if not, for recommended energy auditors. 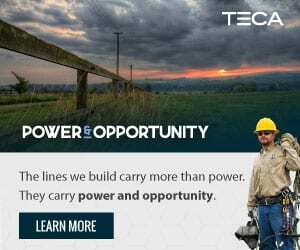 Some cooperatives such as Tri-County Electric in Lafayette will refer you to the Tennessee Valley Authority and the eScore™ program. Or visit the BPI website for homeowners, bpihomeowner.org. 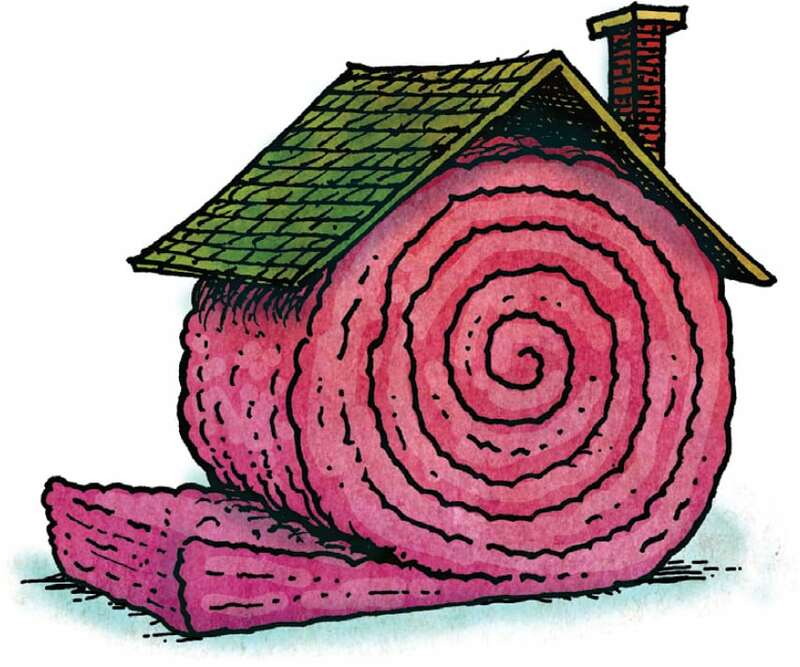 DIY potential: You can do simple tasks; professionals should handle large-scale insulation or ductwork improvements. You’re paying to heat and cool your home. You can minimize costs and maximize comfort by keeping that conditioned air indoors, where you want it. According to Garrett, proper insulation, particularly in the attic, is one of the most effective ways to improve a home’s energy efficiency. Another is correcting faulty ductwork. A handy do-it-yourselfer can tackle simple sealing tasks. Feel for drafts or look for cracks and gaps around windows, doors, electrical outlets and light fixtures; where pipes and wires penetrate walls, floors or ceilings; around fireplaces; and where ceilings meet walls. Basic do-it-yourself materials like weather-stripping tape, tubes of caulk and spray foam are available at home-improvement stores. Garrett says that air-sealing is one of the most often over-looked ways of improving a home’s energy efficiency. If you invested in a professional home-energy audit, you know exactly where air is leaking and what repairs are needed. 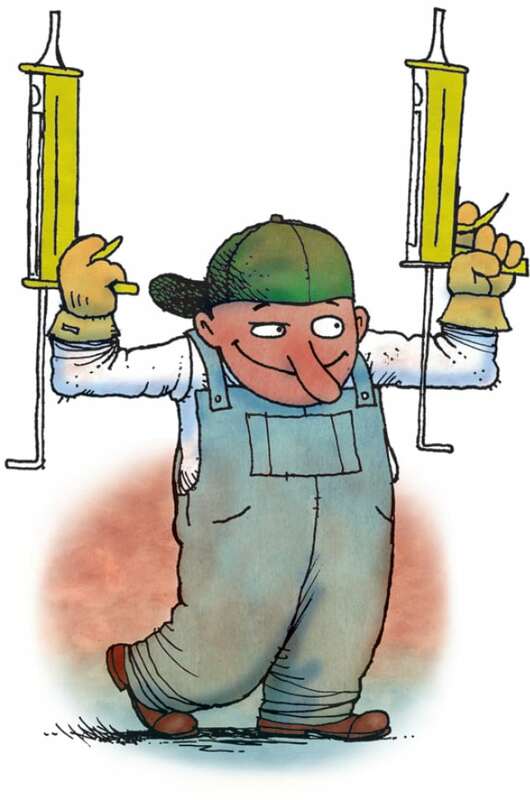 For fixes outside your skill set — for example, adding insulation or repairing leaky duct-work — ask your coop for a list of certified contractors, or visit BPI’s website. Benefit: Upgrading to Energy Star-certified heating and cooling equipment can deliver annual energy-bill savings of 10 to 30 percent, according to the Department of Energy; geothermal systems can cut energy use for heating and cooling by 25 to 50 percent. DIY potential: You’ll need a trained professional to properly size and install a system for your needs. Heating and cooling account for about half of typical household energy costs. Minimize those expenses by upgrading to a more efficient system when your current unit ages out. 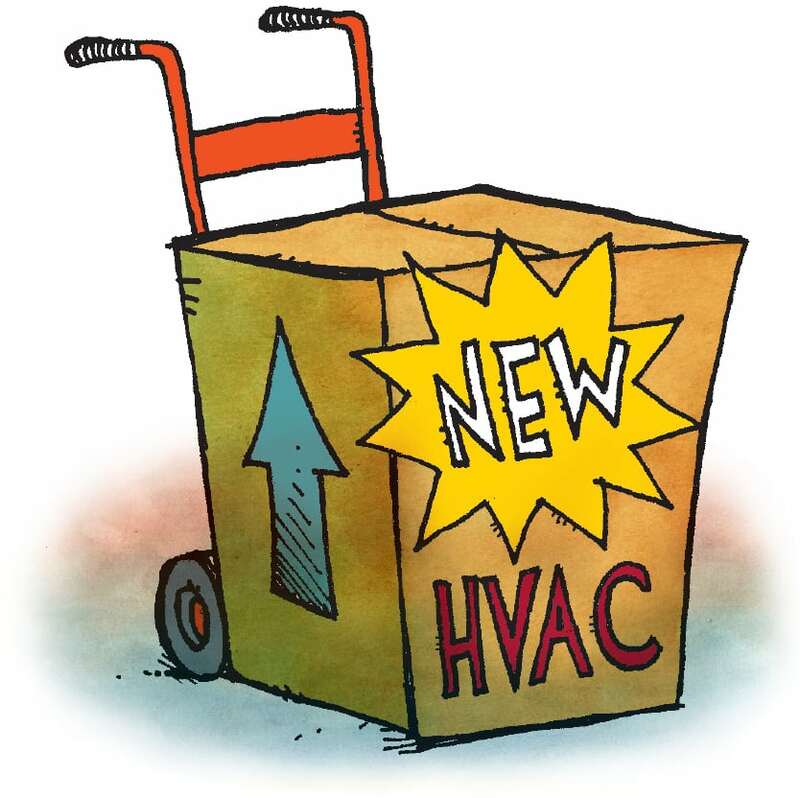 Expect an HVAC system to last, on average, about 10 to 12 years. Air-source heat pumps, which draw heat from the air and move it indoors or outdoors as needed, provide efficient heating and cooling from a single unit. Traditionally more popular in milder climates, the older models relied on inefficient backup heating such as heat strips when outside temperatures dropped below 40 degrees. But heat pumps have evolved, says Rick Nortz, manager of utility and efficiency programs for Mitsubishi Electric Cooling and Heating. “The old view of heat pumps was that they didn’t work below freezing,” he adds. Many modern heat pumps, he says, are designed to be efficient heat sources down to 5 degrees. Pair that with a shift toward households in cooler zones also installing air-conditioning units, Shedd says, and heat pumps become an attractive option. “If you’re going to install an air conditioner, why not just install a heat pump” to cover all seasons? he says. For the coldest regions where a backup heating system is desired, a dual-fuel heat pump can offer auxiliary heat powered by natural gas or propane. Mini-split heat pumps — highly efficient ductless systems that can be placed where needed in a home — are growing in popularity. They work well for add-on rooms that aren’t connected to existing ductwork or for rooms that stay hotter or colder than the rest of the house. Mul-tizone mini-split systems allow different rooms to be set at their own comfort levels, Nortz says. “That room becomes its own home with its own thermostat,” he says. And because there are no ducts, there’s no energy lost through leaky ductwork. Ground-source (geothermal) heat pumps are the most efficient, albeit more expensive, heating-and-cooling option. Drawing heat from stable ground temperatures rather than fluctuating air temperatures, geothermal heat pumps use about 25 to 50 percent less electricity than conventional HVAC systems. Despite their cost, these types of heat pumps work well in Tennessee’s climate. Geothermal is “the gold standard” for peak efficiency in heating and cool-ing, Shedd says, where the property can accommodate an extensive vertical or horizontal underground-loop system. Garrett says that for Tennessee’s climate, a dual-fuel heat pump is your best bet. For any heating-and-cooling system, proper installation is essential to reap full benefits of energy-efficient performance. A certified HVAC contractor will do a load calculation to determine what size HVAC unit is right for your house and whether any special adjustments are necessary for your location. Check with your co-op to see if it offers financing on the purchase of new heat pumps. Benefit: Save anywhere from a few dollars up to hundreds of dollars a year. DIY potential: You’ll need a professional to install some appliances, but you can unplug small appliances around the house in minutes. Among your appliances, the two biggest energy-users are water heaters and refrigerators, which are nearly always on duty. After that, you might be surprised by another energy hog: consumer electronics. “The fastest-growing user of electricity in your house is all the things you plug in,” Shedd says. Think about all the electronic devices plugged into your outlets — many with lights that glow even when the device is not being used — drawing small-but-steady “vampire loads” of energy and adding to your power bill: coffee maker, toaster, phone charger, computer charger, printer, TV, cable box, DVD player, video-game console. A quick walk through the house, unplugging as you go, can save you a few bucks a year on items that only need power when you’re using them. Water heaters, which keep hot water at the ready for kitchens and bathrooms, are the major household energy-users after heating-and-air systems. Saving money here depends on finding the right unit for your home and climate. New efficiency standards instituted for residential water heaters in 2015 ended the use of large-capacity electric-resistance units (larger than 55 gallons) in homes. An exception was made for grid-enabled water heaters, Shedd says, so that homeowners could buy larger heaters to participate in utility load-control programs. To see if such a program is available in your area, check with your electric cooperative. If you’re not on a tight budget, consider a heat-pump water heater. “They can cut your water-heating energy costs in half, but they do cost a fair amount up front — probably double,” Shedd says. And there are installation challenges to consider. Heat-pump water heaters operate most efficiently in conditioned spaces, so garage locations are not ideal. And they tend to be physically larger than traditional units, so they may not fit in your existing water heater’s space. Another option to replace a high-capacity water heater is to buy two smaller water heaters, perhaps even in-stalling them closer to where they are needed, he says. The most important consideration is to plan ahead. Some electric co-ops actually sell water heaters such as the energy-efficient Marathon brand. More than a third of American refrigerators in use are more than 10 years old, according to the Environmental Protection Agency’s Energy Star program. Newer models — especially Energy Star-certified units — use less energy and add less to your household power bill. The program’s website, energystar.gov, has a savings calculator that will tell you just how much money you can save by upgrading. By the way, that old fridge is still costing you money if you park it in the garage and plug it in there. Recycle it to reduce energy use. Televisions are bigger and fancier these days; even so, as with refrigerators, new technology makes them more efficient. The same holds for major appliances like washing ma-chines and dishwashers. 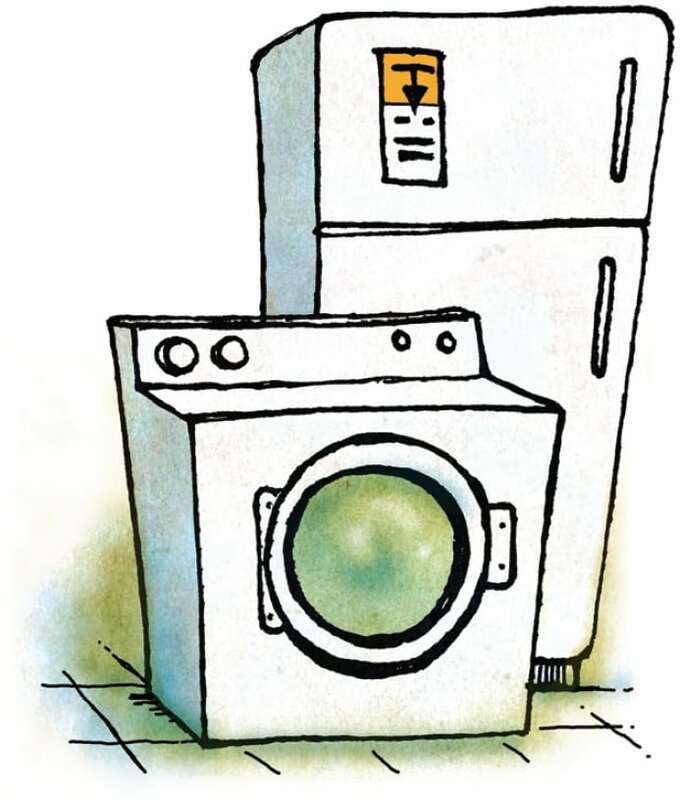 Age can be your gauge; for appliances more than 10 years old, a newer model—espe-cially one with the Energy Star logo — will use less energy, Sloboda says. Cost: National averages range from $1,300 to $2,000, depending on home location, attic size and type of insulation. Benefit: Reduce your energy bills by keeping heated and cooled air in your living space. 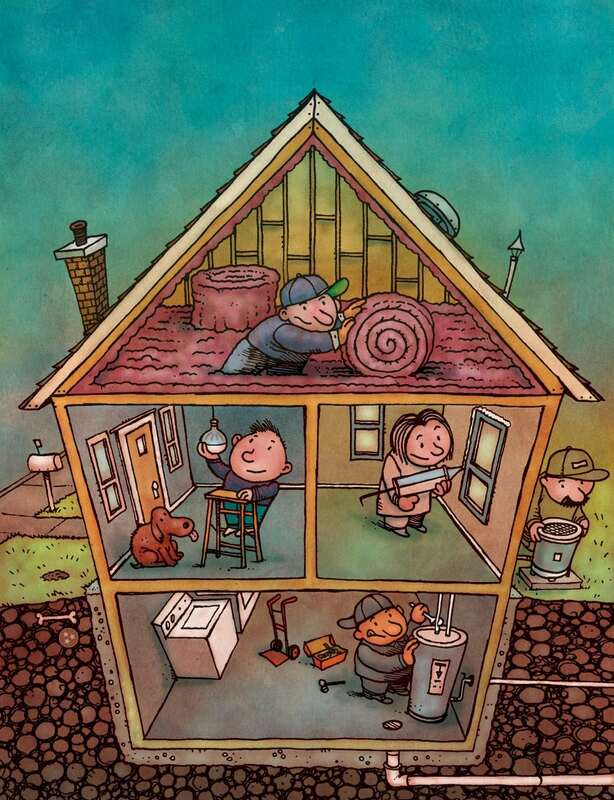 DIY potential: Handy homeowners can add insulation with proper tools, safety gear and precautions, but it’s a job best left to professionals. 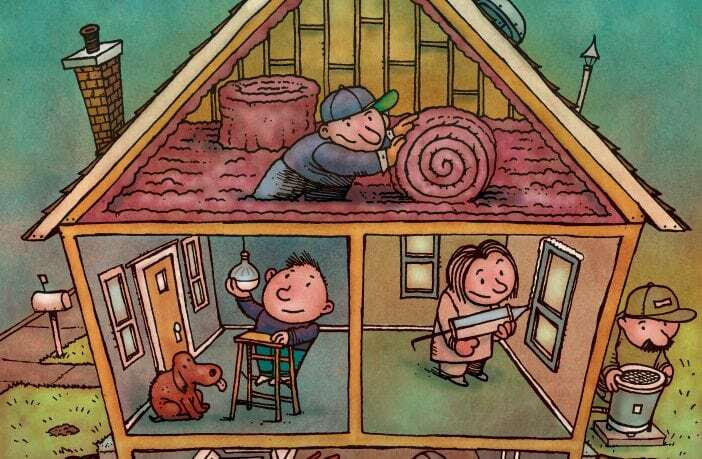 Most homes have insulation — but maybe not enough. It’s all about the R-value. That’s the number assigned to insulating materials based on how well they resist the transfer of heat. Higher numbers mean more resistance to heat flow and more effective insulation. For attics, recommended R-values range from 30 in warmer climates to 60 in colder regions. To learn what’s recommended for your climate zone, consult the R-values map at www.energystar.gov. 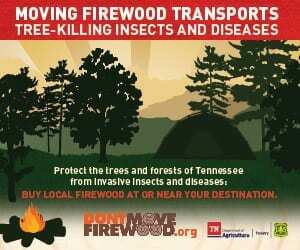 Garrett says that an R-value of 38 or higher is recommended for Tennessee homes. What you spend to upgrade your attic insulation will depend on multiple variables, including the type of insulation — for example, fiberglass or cellulose, batts or loose fill — as well as the size of the attic space and the contractor’s labor costs. Benefit: Save about $50 per year by replacing 15 traditional incandescent bulbs with more efficient energy-saving lightbulbs. DIY potential: You can handle this. You’re going to change your lightbulbs sooner or later. When you do, why not invest in bulbs that will save energy and create the lighting environment you want in your home? Since the adoption of new U.S. lighting standards in 2012, manufacturers have replaced traditional incandescent bulbs with technologies that use 25 to 80 percent less energy. Halogen bulbs look pretty much like the old-style incandescents; they’re usually the cheapest options, they’re available in different shapes and colors and they work with dimmer switches. But they’re also the least-energy-efficient, and they won’t last as long as CFLs (compact fluorescent bulbs) and LEDs (light-emitting diode bulbs). LEDs are the most-efficient option. They can last 15 to 20 years, and their prices have been dropping, making them more affordable. They also work well with many newer dimmer switches, Sloboda says. “There are so many cool things about LEDs — they don’t even have to look like the lightbulbs we’re used to seeing,” he says. Look for colors that appeal to you and shapes that work for specific applications such as ring-shaped LEDs that direct light on workshop surfaces or under-cabinet directional lighting in kitchens. When you’re shopping, pay attention to lumens — the brightness of the bulb — rather than watts, which indicate how much energy it uses. Packaging often refers to the wattage a new bulb can replace — for example, an energy-saving 800-lumen bulb can replace a 60-watt bulb. 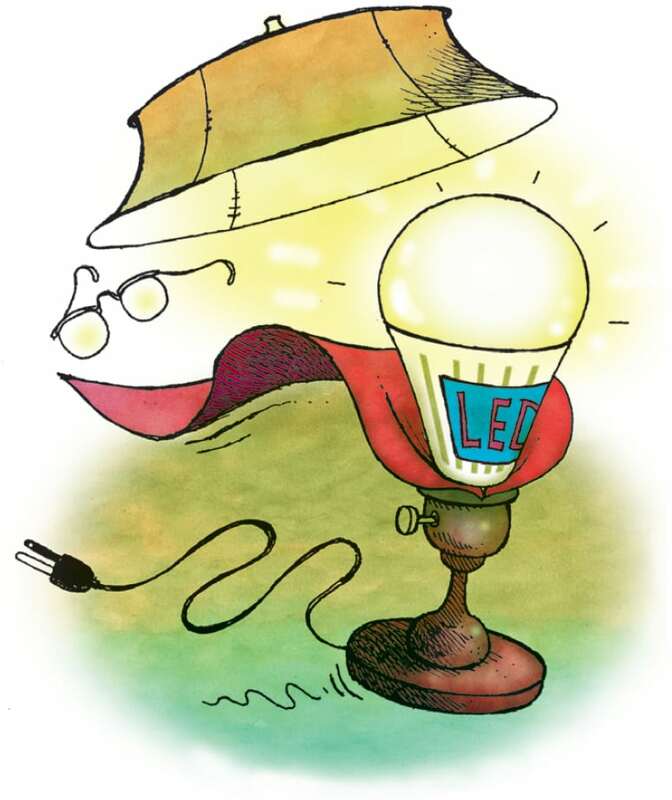 Look at the lighting-facts label for details about the bulb’s lumens, estimated yearly energy cost and lifespan and the lighting color. Energy Star-certified bulbs can deliver the brightness you want while using 70 to 90 percent less energy. Cost: Products range from about $170 to $250. Benefit: Manufacturers estimate annual savings of 9 to 23 percent on heating and cooling costs. DIY potential: Video and written instructions can guide you through installation and Wi-Fi setup. 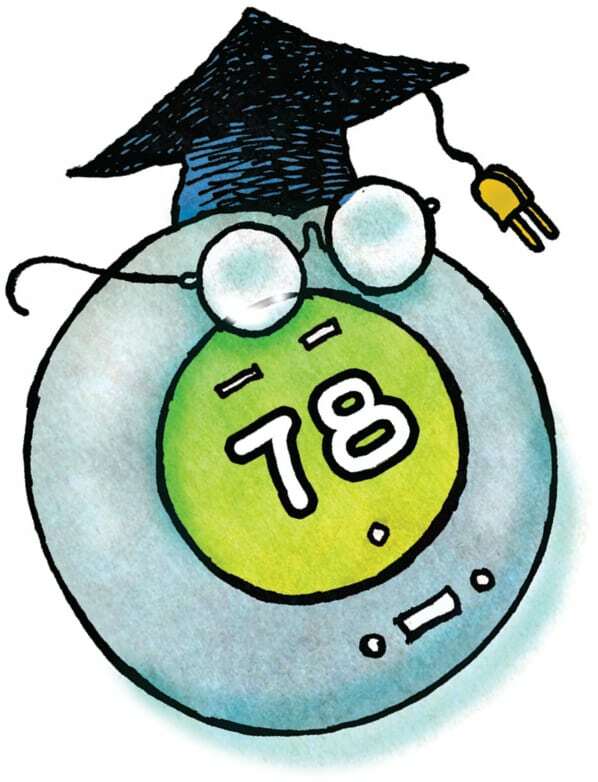 Early versions of programmable thermostats were hailed as tools that would help homeowners save energy and money and increase home comfort, all by tailoring thermostat settings to daytime, nighttime, weekend and vacation schedules. And they did — but only for those who bothered to manually program them. Enter the newer smart thermostats (sometimes called Wi-Fi thermostats). They connect to the internet, can be controlled from an app on a mobile device and, best of all, are designed to learn your household’s habits so they can handle the programming with little hands-on labor by you. Still evolving, some newer models include sensors to detect when people are in the house so the thermostats can reduce energy use when no one is home. Some offer multiple sensors to place around the house so the app can tailor temperatures to different rooms. Some even feature Amazon’s Alexa voice-activated virtual assistant, which can control an array of smart-home devices in addition to the thermostat. Thanks to the internet connection and remote-control options, smart thermostats are ideal for use in electric cooperative load-control programs. 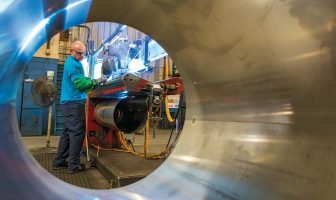 Across the country, cooperatives are testing new programs that use this technology to help members save energy and help co-ops reduce demand.